Where did September go? Taken up with construction, demolition and dust I think. Terry's really got stuck in and is doing fantastic things to the kitchen/bathroom. ...but no washing machine and washing up in the bath! Firstly, sincere apologies to anyone who turned up at the Ranscombe Farm 'event' last Sunday (specially my Mum, Sister and Niece!). We waited over an hour for someone in a 4WD to come and ferry us to the woods as the mud was so thick and impassable. There was absolutely no publicity to show that there was anything going on - the words "piss-up", "brewery", "couldn't organise" sprang to mind. We started to get really bad vibes so we cut our losses and left - after all money isn't everything we have to enjoy what we do too. 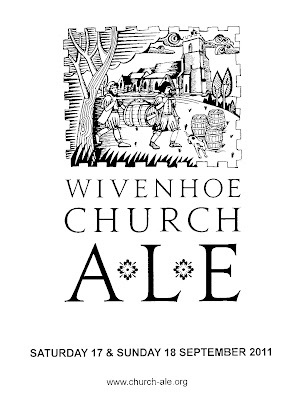 By way of contrast the Wivenhoe Church Ale that we took part in yesterday was a lovely event - very well organised and publicised. 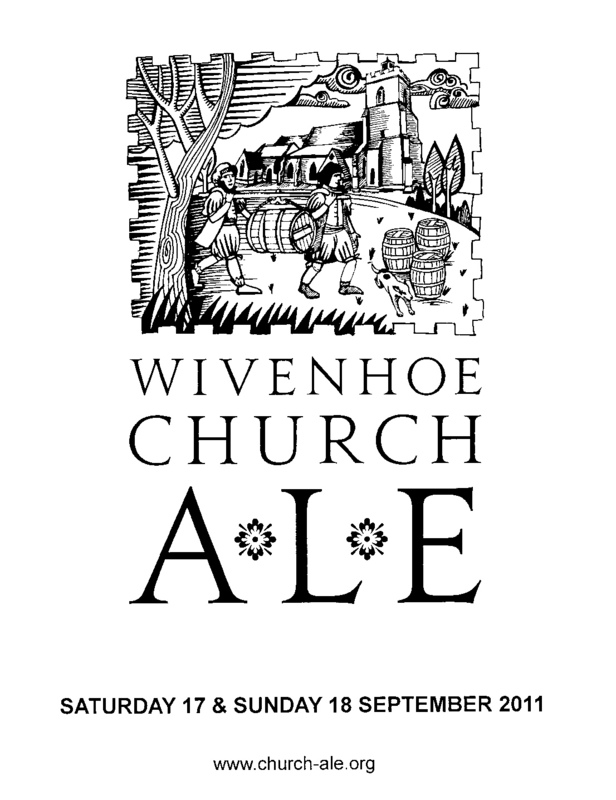 In mediaeval times "Ales" were held in support of many different causes: the church-ale, held to encourage parishioners to come and pay their tithes and so to help pay for the upkeep of the church building; the bride-ale, used to benefit a newly married couple; the clerk-ale, to support the impoverished curate; the bid-ale or help-ale, where ale would be brewed and friendly folk would gather round to drink, contributing the money collected from selling the ale to a worthy local who'd fallen on hard times. Perhaps confusingly to modern ears, an 'Ale' meant the event, the feast, the fête, the party if you like - not the drink itself. What all these "ales" have in common is that they were communal drinking sessions to raise funds. But more than anything it was an opportunity to socialise, and contributed to the social cohesion of the community. Only problem was that we were so busy when I went to try the Ale they'd run out! It's exciting to see the progress as the brickwork and blockwork go up. Going to be demonstrating at Ranscombe Farm near Rochester on Sunday 12-4 if anyone's around that neck of the woods. As soom as he arrived at our Woodland Craft Workshop yesterday I could see that Simon was keen. He'd brought a couple of tools to make handles for and went through the bodging process to make a Chestnut rounders bat for his wife's Brownie troupe. I think he was going straight home to start work on a pole lathe and shavehorse. PS Note that cross-pein hammer which he's going to use for blacksmithing.